The review of asset performance for a health care facility is a complex and demanding task involving Health Planning, Facility Planning and Engineering expertise. We offer a highly interactive approach, which will generate a solution that will meet your needs. The essential components of such a review require a clear understanding of the tasks to be performed in the delivery of health services and consequently the physical facility requirements necessary to accommodate these tasks. Provided Health Planner input as part of a Queensland Consultant Team developing a model for assessing functional adequacy of Health Facilities for the South Australian Department of Human Services. The project included application of the model to Critical Care areas of the Women’s and Children’s Hospital and was extended cover three Hospitals in the Southern Metropolitan area of Adelaide and included detailed assessment of the results. The study methodology was tested as a potential tool for the assessment of Bio-medical Equipment at SouthPath Laboratories on the Flinders Medical Centre site. Information gathered will be recorded and will include a photographic record of exceptions with an estimated value greater than $10,000.00. we will record and report the performance of assets not performing to acceptable standards and will provide an order of cost solution for remedial action and assessed risk associated with the problem. The methodology used to indicate the level of expenditure required for each asset performance situation identified will include estimation of broad quantities and the application of area rates, building elemental rates and estimates of itemised cost allowances as appropriate. prepare options for facility upgrading to meet service delivery needs. It is essential that the existing facilities be assessed for their ability to meet the functional requirements of the Health Unit Service Plan. It is also useful to make comparisons between differing models of service in the context of the physical facilities, as it may be possible to easily adopt elements of service delivery planning which require minimal capital expenditure. Garry Coff participated as part of The Capworks Group and provided Health Planning and Health Facilities planning support for the pilot asset assessment process conducted across the three Southern suburbs Hospitals in early 2001. The three sites included Flinders Medical Centre, Repatriation General Hospital and Noarlunga Health Services and involved a quick but thorough review of the condition and fitness for purpose of all areas of the facilities. Garry has since assisted the Department of Human Services Asset Services Branch in the development of the AMPS Asset review tool. He managed the pilot review of retained areas of the Lyell McEwin Health Service and participated in the pilot review of the Express Blood Laboratory of SouthPath at Flinders Medical Centre to test a variation of the tool developed for the assessment of Bio-Medical equipment. Garry was commissioned by Colliers International to conduct a review of assets throughout the Hills Mallee Southern Region of South Australia using the CABS data collection tool developed by the SA Health Commission and the Queensland based Capworks Group. The process required a detailed audit of all buildings and assets in the Region and produced a data base of information that could assist in the speedy approval of requests for funding to Government. Garry Coff was commissioned as part of the ‘Capworks Group’ Team in February 2002 to assess the performance and condition of assets within the Neonatal Intensive Care Unit and Special Care Babies Unit at the Women’s and Children’s Hospital. The study revealed that there is a significant shortfall of area between the design workload and the area currently available for the care of Neonates. The South Australian Aboriginal Health Services in conjunction with the South Australian Department of Human Services and the Commonwealth Department for Health and Family Services commissioned a team in 1999 which included Garry Coff Consulting Services as Health Planner to conduct a review of Aboriginal Health Facilities throughout South Australia and to prepare recommendations for development of the sites to meet acceptable condition and functional standards. Parks Community Health Centre – Aboriginal Health Unit. The study involved physical inspection of all premises associated with Health Service delivery and staff accommodation across South Australia and included extensive discussion with users to determine fitness for purpose and potential for upgrade to meet acceptable standards. The study was completed in June 1999 and recommended expenditure of approximately $ 8 million to meet the projected need. Eyre Regional Health Service Master Planning Consultancy, Eyre Peninsula, SA. Garry Coff Consulting Services was commissioned in February 2003 to conduct a review of Health and Aged Care facilities throughout the Region and to report on suitability for use, building condition and potential for future site and building development. 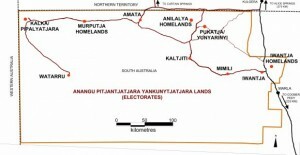 The consultancy initially covered Ceduna District Health Services, Eastern Eyre Health & Aged Care Services (Cleve, Cowell & Kimba), and Mid West Health (Wudinna, Streaky Bay & Elliston) and was extended in 2004 to include Lower Eyre Health Services (Tumby Bay & Cummins). The consultancy included broad brush Master Planning Concepts for each facility to enable short term upgrading of substandard and high risk areas of operation and to develop potential use for under-utilized areas of each facility within the context of a longer term strategic planning framework. Concepts ranged from relatively minor alterations to Streaky Bay Hospital, to extensive re-development of the facilities at Ceduna and included analysis of region wide service initiatives that would improve quality control for linen handling, sterilization of instruments and Stores management and better utilize existing building stock throughout the Region. Hostel and Administration Accommodation, Hampstead, SA. The project involved the preparation of a detailed brief of requirements for the occupants and the preparation of concept plans, within strictly limited budget parameters, for the recycling of vacant buildings on the Morris Hospital Site at Hampstead, in the North-Eastern suburbs of Adelaide. The recycling and upgrading of these poorly utilized, but sound, buildings as hostel accommodation for High School age Aboriginal children from remote South Australia involved careful management of spaces and areas to address many issues of culture and behaviour management. Garry Coff consulted with the client groups to determine a brief for the organisation, prepared design solutions and assisted the Architectural team to ensure that all operational and functional requirements were incorporated into the finished facility. 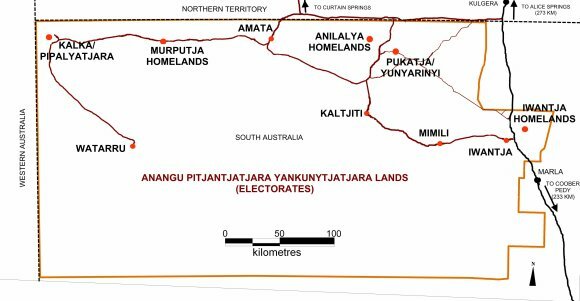 The project involved extensive consultation with tribal representatives from the Anangu Pitjantjatjara Lands and the Department of Education & Children’s Services and was completed in mid 1997 at a cost of approximately $ 1.6 million.